Half of humanity now lives in cities, and within two decades, nearly 60 per cent of the world's people will be urban dwellers. 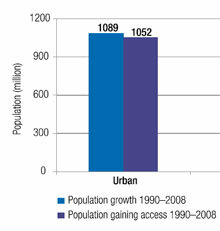 Urban growth is most rapid in the developing world, where cities gain an average of 5 million residents every month. The exploding urban population growth creates unprecedented challenges, among which provision for water and sanitation have been the most pressing and painfully felt when lacking. Two main challenges related to water are affecting the sustainability of human urban settlements: the lack of access to safe water and sanitation, and increasing water-related disasters such as floods and droughts. These problems have enormous consequences on human health and well-being, safety, the environment, economic growth and development. The lack of adequate water and sanitation facilities leads to health issues such as diarrhoea, malaria and cholera outbreaks. Though water supply and sanitation coverage increased between 1990 and 2008, the growth of the world's urban populations jeopardizes those results. While between 1990 and 2008 1052 million urban dwellers gained access to improved drinking water and 813 million to improved sanitation, the urban population in that period grew by 1089 million people. An estimated 96 per cent of the urban population globally used an improved water supply source in 2010, compared to 81 per cent of the rural population. This means that 653 million rural dwellers lacked improved sources of drinking water. Globally, 79 per cent of the urban population used an improved sanitation facility in 2010, compared to 47 per cent of the rural population. Those who suffer the most of these water-related challenges are the urban poor, often living in slum areas or informal settlements following rapid urban growth, in situations lacking many of life's basic necessities: safe drinking water, adequate sanitation services and access to health services, durable housing and secure tenure. Increase in the use of drinking-water resources is barely keeping up with the urban population growth. 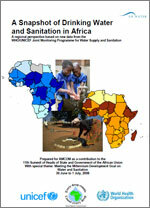 Source: Progress on Sanitation and Drinking-Water: update 2010. WHO/UNICEF JMP. 2010. Cities cannot be sustainable without ensuring reliable access to safe drinking water and adequate sanitation. Coping with the growing needs of water and sanitation services within cities is one of the most pressing issues of this century. Sustainable, efficient and equitable management of water in cities has never been as important as in today's world. MDG target 7c calls for the reduction by half of the number without sustainable access to safe drinking water and sanitation. MDG target 7d articulates the commitment of UN member states to significantly improve the lives of at least 100 million slum dwellers by the year 2020. 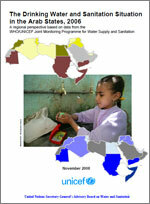 At the current rate of progress, the world is expected to achieve the MDG drinking-water target. Currently, 96% of the urban population has access to improved drinking-water sources. 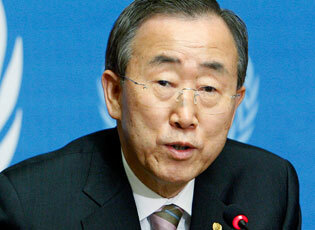 However, the MDG sanitation target will not be realized by 2015. 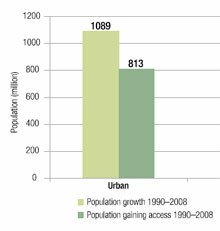 Urban areas, though often better served than rural areas, are struggling to keep up with the growth of the urban population. 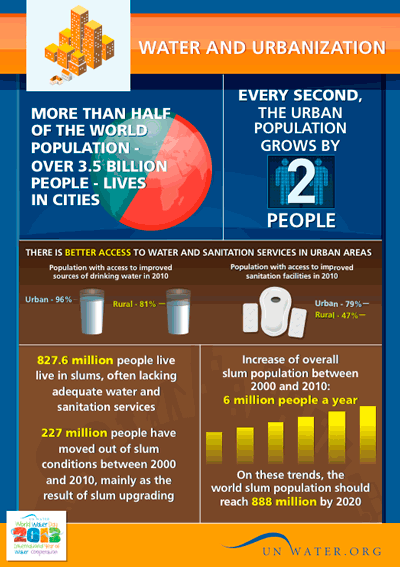 Worldwide, still 789 million urban dwellers live without access to improved sanitation. Regarding the MDG slum target, slum improvements are failing to keep pace with the growing ranks of the urban poor. Over the past 10 years, the share of the urban population living in slums in the developing world has declined: from 39 per cent in 2000 to 33 per cent in 2010. However, in absolute terms, the number of slum dwellers in the developing world is actually growing, and will continue to rise in the near future. The number of urban residents living in slum conditions is now estimated at 828 million and is expected to grow by 6 million slum dwellers each year. Redoubled efforts will be needed to improve the lives of the growing numbers of urban poor in cities. A city.There is no universal definition on what is a city. Different countries, municipalities and scientists use different definitions. A mega city. Definitions on mega cities vary from cities with over 5 million to over 20 million inhabitants. In its State of the World’s Cities 2010/2011 report, UN-HABITAT defines a mega city as a city with 20 million or more inhabitants. A slum. A slum household is defined as a group of individuals living under the same roof lacking one or more of the following conditions: access to improved water; access to improved sanitation facilities; sufficient living area -not more than three people sharing the same room-; structural quality and durability of dwellings; and security of tenure. The poor pay more. A slum dweller in Nairobi –Kenya- pays 5 to 7 times more for a liter of water than an average North American citizen. 828 million people live in slum conditions, lacking basic services such as drinking water and sanitation. 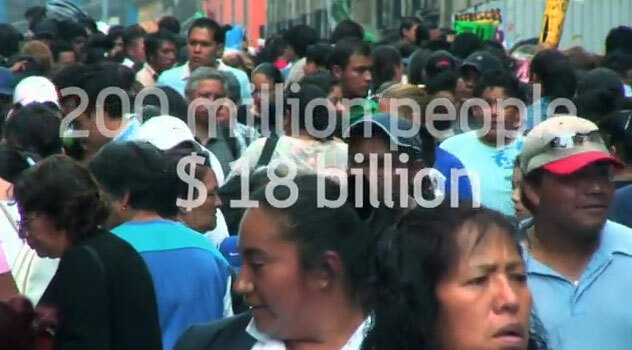 This number is increasing by 6 million each year to hit a total of 889 million by 2020. 62 % of the sub-Saharan Africa urban population and 43 % of the urban population of south-central Asia lives in slums. One of four urban dwellers does not have access to improved sanitation facilities. 27% of the urban dwellers in the developing world does not have access to piped water at home. United Nations Department of Economic and Social Affairs (UNDESA). July 2014. The Population Division of the Department of Economic and Social Affairs of the United Nations since 1998 has been issuing revised estimates and projections of the urban and rural populations of all countries in the world and of their major urban agglomerations, every two years. Accurate, consistent and timely data on global trends in urbanisation and city growth are critical for assessing current and future needs with respect to urban growth and for setting policy priorities to promote inclusive and equitable urban and rural development. 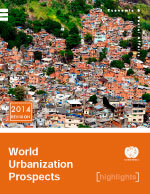 This report contains the highlights of the 2014 Revision of World Urbanization Prospects, which contains the latest estimates of population size from 1950 to 2014 and projections to 2030. A section on Policy Implications reports on the responsibility of governments to implement policies that ensure the benefits of urban growth are shared equitably and sustainably. 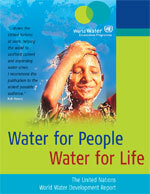 World Water Day (WWD) is held annually on 22 March. In 2011 WWD was intended to focus international attention on the impact of rapid urban population growth, industrialization and climate change on water resources and environmental protection capabilities of cities and small towns. Key issues such as the growing urban water and sanitation demand, increased pollution from municipal and industrial discharges, climate change and its unforeseen risks and challenges, overexploitation of available water resources, better targeting of the urban poor were discussed. The critical role played by local governments and other service providers in tackling these challenges was explored. 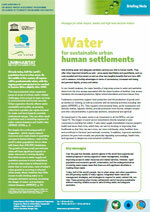 UN-HABITAT assumed responsibility for World Water Day coordination with additional support from UNEP. This global meeting brought together experts, local government officials, media specialists, key water operators and political representatives of cities and stakeholder groups to discuss the issues and propose practical ways to meet the challenges of achieving water and sanitation for all, especially in the cities and towns around the world. The meeting was also an intermediary step in the preparation for World Water Day 2011, which focused on the issue of urban water management. This report provides a framework to help city leaders make informed decisions for sustainable development in their cities. What must be done to improve living conditions, especially in slums and hazard-prone areas? To expand the coverage and quality of basic infrastructure services (water, sanitation)? To manage the city's physical form? These are some of the questions this report tries to respond. 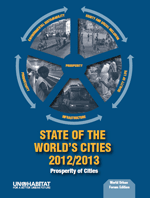 The State of the World’s Cities Report 2012 presents some of the underlying factors behind the financial, economic, environmental, social and political crises that have strongly impacted on cities. Chapter 2.2 ‘Urban Infrastructure: Bedrock of Prosperity’ addresses the issue of ‘Water Supply: When Good Governance Changes the Equation’. 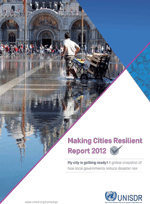 The aim of this report is to provide a global snapshot of local-level resilience building activities and identify trends in the perceptions and approaches of local governments toward disaster risk reduction, using the Ten Essentials for Making Cities Resilient developed by the Making Cities Resilient Campaign as a framework. This report also analyses the factors that enable urban disaster risk reduction activities, including how the Campaign has helped improve local knowledge of disaster risk and support capacity building. The report is divided into five chapters, featuring a combination of analysis of cities' resilience activities and short stories from cities on good practice in urban disaster risk reduction. Chapters one and two draw conclusions on the core building blocks and enabling factors for urban resilience and the Campaign's role in driving disaster risk reduction awareness and action. Chapter three identifies key trends in resilience building at local level. 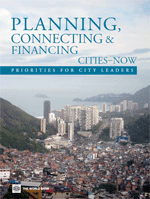 Chapter four reviews cities' activities against the Ten Essentials developed by the Campaign. In a look toward the future, Chapter five proposes ideas to measure cities' progress and performance as they embark on a path toward strengthening their resilience to natural hazards and more extreme climatic events. World Water Day 2011 focused international attention on the impact of rapid urban population growth, industrialization and uncertainties caused by climate change, conflicts and natural disasters on urban water systems. It also encouraged action by governments, organizations, communities, and individuals around the world to engage actively in addressing urban water management challenges. 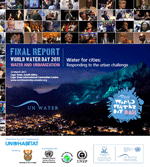 This report presents main results and conclusions of activities organized by UN-Habitat and its partners for the official UN commemoration of World Water Day in Cape Town, South Africa. This report reviews the linkages between urbanization and climate change. It illustrates the significant contribution of urban areas to climate change while at the same time highlighting the potentially devastating effects of climate change on urban populations. It reviews policy responses, strategies and practices that are emerging in urban areas to mitigate and adapt to climate change, as well as their potential achievements and constraints. Challenges for water supply and sanitation are described, including an analysis of how climate change may affect sanitation systems and water supply, quality and treatment in cities. This document addresses the issues of urban, predominantly networked, water supply and sanitation. The main objective of these guidelines is to provide guidance to AfDB Group Task Managers and other stakeholders as well as to enhance the design and implementation of financially sustainable water sector projects and programmes. A key objective of these guidelines is to enable service providers to deliver better services to all, within the context of a protected environment, through accessing enhanced revenue and finance flows whilst acknowledging that direct full cost recovery may not be achievable in all urban areas in the near term. In this context, it is recognized that part of the process of moving towards direct cost recovery has to be through ensuring that appropriate service levels and technologies are chosen so that users obtain the services they desire and for which they are willing to pay. These guidelines stress the iterative nature of reflecting anticipated user fees against proposed service levels and the need to reconsider these levels when subsequent willingness and ability to pay indications are that such services would not be able to recover sufficient costs for sustainability. By matching service levels and technology options (service differentiation), a service provider can serve all customers at differentiated prices that correspond to customers' willingness to pay, and thus achieve both social and financial objectives. This reader is intended for all those interested in getting familiar with issues related to water and sanitation in cities. It provides basic references for easy reading and some of the latest and most relevant United Nations publications on urban water and sanitation management. 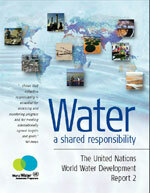 It also contains references for specific audiences such as water operators, educators and children. Link is provided when the publication is available online. Today, half of humanity lives in urban areas. By 2050 all regions will be predominantly urban. 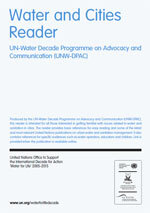 Building on the outcomes of the World Water Development Report 3 (WWDR3) and on work implemented by UN-HABITAT, this Briefing Note restates the critical water-related challenges of this unprecedented urban expansion - from providing access to basic services to ensuring environmental and human security. The paper provides for concrete policy options to meet these challenges, protect against potential water-related disasters and ensure the development of sustainable urban settlements. This report describes the status and trends with respect to the use of safe drinking-water and basic sanitation, and progress made towards the Millennium Development Goal (MDG) drinking-water and sanitation target. 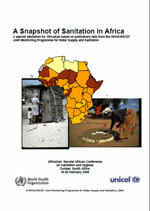 It indicates the striking divide between urban and rural populations in terms of water and sanitation services provided. This chapter explores a set of fundamental processes, 'drivers', that are external to the water sector, but that directly or indirectly co-determine the evolution of the water system in terms of the quality, quantity and spatial distribution of the resource. Demographic processes, such as population growth and urbanization, are such drivers that create great pressures on water resources. They directly affect water availability and quality through increased water demands and through pollution resulting from water use. One section is specifically dedicated to urbanization, a strong driver of water use, on which managers and decision-makers in the water sector can exert little direct influence. This edition of the State of the World's Cities Report provides an overview of a range of issues that link cities, slums and the Millennium Development Goals. It makes clear that the global fight against poverty - encapsulated in the Millennium Development Goals - is heavily dependent on how well cities perform. Sections 2.3 - Safe Drinking Water in Cities- and 2.4 - The Silent Tsunami: The High Price of Inadequate Sanitation in Urban Areas- provide an insight in the state of the world's cities in relation to drinking water and sanitation. The rapidly increasing urbanization rate has huge implications for freshwater use and wastewater management. Cities face rising water and sanitation demands and problems such as pollution and overexploitation. Especially the large urban population living in slums often lack access to safe water and sanitation services. This chapter explores the scale of the growing urban water challenges. 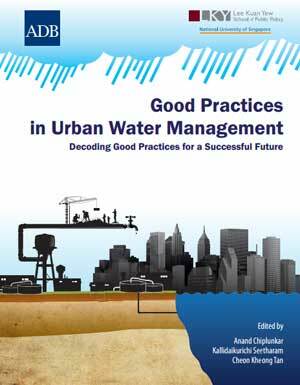 This chapter addresses a range of issues related to urban water management. It explores the water-related challenges that cities nowadays experience, such as water contamination, health issues, waste water management and the challenge of providing low-income urban dwellers with sufficient drinking water and sanitation facilities. 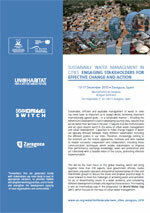 Several case studies of water management in cities around the world are highlighted. This report shows that there is a way forward for a more sustainable future where restoration of ecosystems, often in the green hills and watersheds surrounding cities, can provide cheaper, efficient and resilient water supply systems in a changing world. The case studies provided in this report present urban water challenges in African cities, and highlight approaches adopted to reduce the impacts of urbanisation on water and ecosystems. Seven case studies discuss urbanisation characteristics of their respective cities, state and trends of water withdrawals and demand, environmental impacts of bulk water supply and wastewater discharge, and lessons for policy. This report elaborates on particular urban processes and themes relevant to Africa, illustrating them with recent data and relevant examples. While much of the scope does focus on cities, no specific settlement size threshold is used and this report addresses urbanization and urban areas in general. The report highlights urban trends and emerging and key challenges for the African region (urbanisation, regional mobility, urban poverty, slums and urban land markets), and links them with water and sanitation issues where relevant. This document provides an assessment of the population currently using an improved drinking-water source and basic sanitation, disaggregated by sub-regions and urban and rural areas. It further details African progress towards the Millennium Development Goal (MDG) target for drinking-water supply and sanitation (target 7c). The analyses presented here provide a snapshot of the proportion of population in Africa that, in 2006, used an improved sanitation facility. It also shows the proportion of the population, in Africa as a whole and in various regions, using shared or unimproved sanitation facilities in addition to those practising open defecation disaggregated by urban and rural areas. 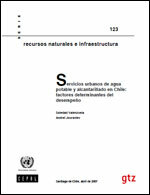 This publication identifies the key factors that have influenced the water supply and sanitation services in the urban areas of Chili, especially the city of Santiago. It is suggested that the outcomes of this study are applicable to other countries in the region. 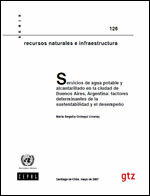 This publication identifies the key factors of the economical, social and environmental sustainability of drinking water and sanitation services in the Buenos Aires metropolitan area. Focus lies on both endogenous and exogenous factors for its successes and problems. It is suggested that the perspective and outcomes of this study are applicable to other Latin American and Caribbean countries. This document provides an assessment of the population in twenty-two Arab States currently using an improved drinking-water source and basic sanitation, disaggregated by urban and rural areas. It also details progress towards the Millennium Development Goal (MDG) target for drinking-water supply and sanitation (target 7c). This report presents case studies on successful Asian water utilities. The case studies provide objective, accurate, and critical analyses of urban water management practices in eight Asian cities (Bangkok, Colombo, Jamshedpur, Kuala Lumpur, Manila, Phnom Penh, Shenzhen and Singapore) over a 10-year period. The UN-HABITAT Water for Asian Cities (WAC) Programme is a collaborative initiative between the United Nations Human Settlements Programme (UN-HABITAT), the Asian Development Bank (ADB) and Asian governments. 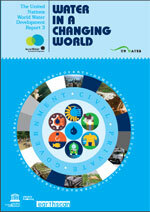 The programme was officially launched at the Third World Water Forum (WWF) in 2003. 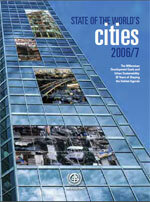 The Annual Report 2009 outlines the key achievements made by the UN-HABITAT's WAC Programme in urban water management in India, Nepal and Pakistan between January and December 2009 with support from the Water and Sanitation Trust Fund (WSTF), governments, partners and local communities. This document provides an assessment of the population currently using an improved drinking-water source and basic sanitation disaggregated by urban and rural areas. 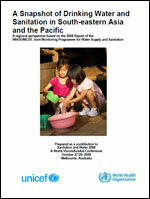 It details regional and country progress towards the Millennium Development Goal (MDG) target for drinking-water supply and sanitation (target 7c) in South-East Asia and the Pacific. "Urbanization brings opportunities for more efficient water management and improved access to drinking water and sanitation. At the same time, problems are often magnified in cities, and are currently outpacing our ability to devise solutions." The I'm a City Changer Campaign is a global movement to share and spread individual, corporate and public initiatives that improve our cities. UN-Habitat has produced an exhibition for the campaign which highlights the key challenges around water and cities, and features some City Changers who are working to make a difference. This short film aims to illustrate present and future challenges in urban water management, highlighting water problems facing cities around the world. 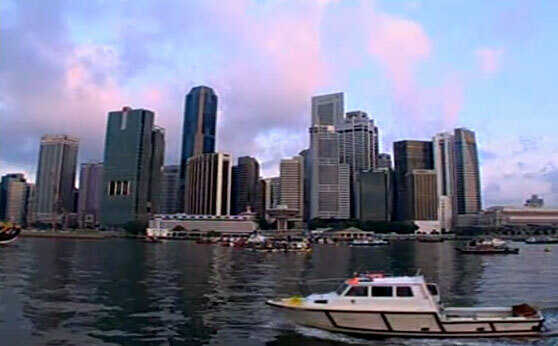 As water has become an increasingly crucial issue facing many cities around the world today, film is designed to promote sustainable and innovative approaches that UNESCO is pursuing to help countries address water problems in fast-growing cities, and to assist cities to develop strategies for sustainable urban water management. This video touches on the problem of water leakage in the water distribution systems in cities around the world. Water experts discuss the challenges of water loss faced every day and suitable solutions to increase efficiency in urban water supply systems. Ms Zandaryaa is the responsible officer for IHP's focal areas on water quality and rural water management, and serves as the deputy for Urban Water Management Programme of IHP. 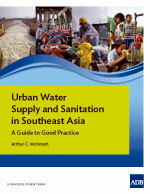 Sarantuyaa is Co-Editor-in-Chief of UNESCO-IHP Urban Water Series, comprising over 10 books on urban water management.